What naturalists wish to know is … how [species] are checked in their efforts to over-run the earth (C.H. Merriam, 1894). Answering this old, but unresolved, question is the main focus of my current research. The ranges of species have changed in response to climate change in the past and are expected to change as a consequence of human mediated global warming. Elucidating how species will respond in the future is challenging. It requires insight not only into how contemporary factors constrain species' current ranges, but also how past climate change affects the current occurrence of species. For example, time lagged dispersal after the last ice age might restrict species current ranges. By studying the geographic ranges of European plants, in particular trees, I am currently working towards an integrated understanding of the relative importance and interplay of the three main range determinants (i.e., abiotic factors, especially climate, biotic factors, and migration), both across species' ranges and through time. Thomas HJD, Myers-Smith IH, Bjorkman AD, Elmendorf SC et al. Global Ecology and Biogeography 00: 1-18 (2018). 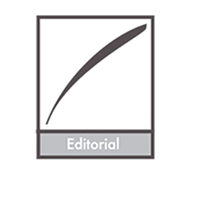 The copyright of this article is with the respective publisher or authors. By downloading, you agree to limit the use of the provided reprint to personal research and study, and to not modify or repost the file at any time. Plant functional groups are widely used in community ecology and earth system modelling to describe trait variation within and across plant communities. However, this approach rests on the assumption that functional groups explain a large proportion of trait variation among species. We test whether four commonly used plant functional groups represent variation in six ecologically important plant traits. Data collected between 1964 and 2016. 295 tundra vascular plant species. 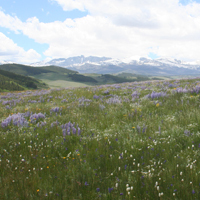 We compiled a database of six plant traits (plant height, leaf area, specific leaf area, leaf dry matter content, leaf nitrogen, seed mass) for tundra species. We examined the variation in species-level trait expression explained by four traditional functional groups (evergreen shrubs, deciduous shrubs, graminoids, forbs), and whether variation explained was dependent upon the traits included in analysis. We further compared the explanatory power and species composition of functional groups to alternative classifications generated using post hoc clustering of species-level traits. Traditional functional groups explained significant differences in trait expression, particularly amongst traits associated with resource economics, which were consistent across sites and at the biome scale. However, functional groups explained 19% of overall trait variation and poorly represented differences in traits associated with plant size. Post hoc classification of species did not correspond well with traditional functional groups, and explained twice as much variation in species-level trait expression. Traditional functional groups only coarsely represent variation in well-measured traits within tundra plant communities, and better explain resource economic traits than size-related traits. We recommend caution when using functional group approaches to predict tundra ecosystem change, or ecosystem functions relating to plant size, such as albedo or carbon storage. We argue that alternative classifications or direct use of specific plant traits could provide new insight into ecological prediction and modelling. ISPRS Journal of Photogrammetry and Remote Sensing 146: 518-529 (2018). The disproportionate warming in the Arctic and the resulting adverse ecosystem changes underline the importance of continued monitoring of these ecosystems. Land-cover classification maps of the Arctic regions are essential for monitoring and change detection purposes, as well as upscaling of various ecosystem processes. However, large-scale land cover maps of the Arctic regions are often too coarse to properly capture the heterogeneity of these landscapes. In this study, we bridge this gap through incorporating multi temporal Landsat-8 OLI data in a large-scale land cover classification, and subsequently produce a tundra classification map for the entire Greenland. An algorithm is developed that allows for the extraction of vegetation phenology from single-year time series of 4169 OLI scenes at 30 m resolution despite the low revisit frequency of the satellite and persistent cloud cover. The phenological metrics, satellite-derived wetness, and terrain information are then used to separate land surface classes using a random forest classifier. The optimal algorithm parameters and input layers are identified, ultimately yielding a cross-validation accuracy of 89.25% across the studied area. Finally, we have conducted a comprehensive analysis on the resulting land-cover map and for the first time presented the geographical distribution, latitudinal gradients, and climate linkages of the various tundra vegetation classes across the ice-free part of Greenland. With a resolution of 30 m and Greenland-wide spatial coverage, the produced land-cover map can support various applications at scales ranging from the landscape to regional level. Bjorkman AD, Myers-Smith IH, Elmendorf SC, Normand S, Thomas HJD et al. Global Ecology and Biogeography 27(12): 1402-1411 (2018). 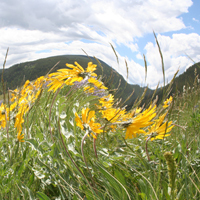 The Tundra Trait Team (TTT) database includes field-based measurements of key traits related to plant form and function at multiple sites across the tundra biome. This dataset can be used to address theoretical questions about plant strategy and trade-offs, trait–environment relationships and environmental filtering, and trait variation across spatial scales, to validate satellite data, and to inform Earth system model parameters. 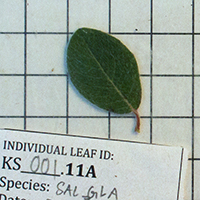 The database contains 91,970 measurements of 18 plant traits. The most frequently measured traits (> 1,000 observations each) include plant height, leaf area, specific leaf area, leaf fresh and dry mass, leaf dry matter content, leaf nitrogen, carbon and phosphorus content, leaf C:N and N:P, seed mass, and stem specific density. 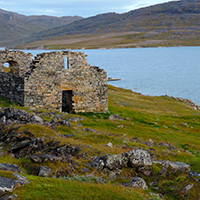 Measurements were collected in tundra habitats in both the Northern and Southern Hemispheres, including Arctic sites in Alaska, Canada, Greenland, Fennoscandia and Siberia, alpine sites in the European Alps, Colorado Rockies, Caucasus, Ural Mountains, Pyrenees, Australian Alps, and Central Otago Mountains (New Zealand), and sub-Antarctic Marion Island. More than 99% of observations are georeferenced. All data were collected between 1964 and 2018. A small number of sites have repeated trait measurements at two or more time periods. 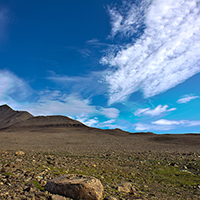 Trait measurements were made on 978 terrestrial vascular plant species growing in tundra habitats. Most observations are on individuals (86%), while the remainder represent plot or site means or maximums per species. csv file and GitHub repository with data cleaning scripts in R; contribution to TRY plant trait database (www.try-db.org) to be included in the next version release. Bjorkman AD, Myers-Smith IH, Elmendorf SC, Normand S, Rüger N et al. Global Change Biology 24(12): 5789-5801 (2018). The satellite record has revealed substantial land-surface “greening” in the northern hemisphere over recent decades. Process-based Earth system models (ESMs) attribute enhanced vegetation productivity (greening) to CO2 fertilisation. However, the models poorly reproduce observed spatial patterns of greening, suggesting that they ignore crucial processes. Here, we explore whether fine-scale land-cover dynamics, as modified by ecological and land-use processes, can explain the discrepancy between models and satellite-based estimates of greening. We used 500 m satellite-derived leaf area index (LAI) to quantify greening. We focus on semi-natural vegetation in Europe, and distinguish between conservation areas and unprotected land. Within these ecological and land-use categories we then explored the relationships between vegetation change and major climatic gradients. Despite the relatively short time series (15 yr) we found a strong overall increase in LAI (i.e. greening) across all European semi-natural vegetation types. The spatial pattern of vegetation change identifies land-use change, particularly land abandonment, as a major initiator of vegetation change both in- and outside of protected areas. The strongest LAI increases were observed in mild climates, consistent with more vigorous woody regrowth after cessation of intensive management in these environments. Surprisingly, rates of vegetation change within protected areas did not differ significantly from unprotected semi-natural vegetation. Overall, the detected LAI increases are consistent with previous, coarser-scale, studies. The evidence indicates that woody regrowth following land abandonment is an important driver of land surface greening throughout Europe. The results offer an explanation for the large discrepancies between ESM-derived and satellite-derived greening estimates, and thus generate new avenues for improving the ESMs on which we rely for crucial climate forecasts. Steinbauer MJ, Grytnes JA, Jurasinski G, Kulonen A, Lenoir J, Pauli H, Rixen C, Winkler M et al. Globally accelerating trends in societal development and human environmental impacts since the mid-twentieth century are known as the Great Acceleration and have been discussed as a key indicator of the onset of the Anthropocene epoch. While reports on ecological responses (for example, changes in species range or local extinctions) to the Great Acceleration are multiplying, it is unknown whether such biotic responses are undergoing a similar acceleration over time. This knowledge gap stems from the limited availability of time series data on biodiversity changes across large temporal and geographical extents. Here we use a dataset of repeated plant surveys from 302 mountain summits across Europe, spanning 145 years of observation, to assess the temporal trajectory of mountain biodiversity changes as a globally coherent imprint of the Anthropocene. We find a continent-wide acceleration in the rate of increase in plant species richness, with five times as much species enrichment between 2007 and 2016 as fifty years ago, between 1957 and 1966. This acceleration is strikingly synchronized with accelerated global warming and is not linked to alternative global change drivers. 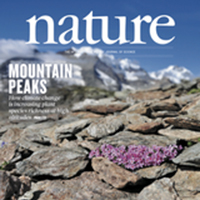 The accelerating increases in species richness on mountain summits across this broad spatial extent demonstrate that acceleration in climate-induced biotic change is occurring even in remote places on Earth, with potentially far-ranging consequences not only for biodiversity, but also for ecosystem functioning and services. Ecology and Evolution, 7: 10233–10242 (2017). 1. 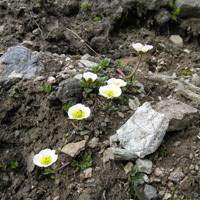 Arctic plant communities are altered by climate changes. The magnitude of these alterations depends on the extent to which species distributions are determined by macroclimatic conditions, by factors related to local topography, or by biotic interactions. Our current understanding of the relative importance of these conditions is limited due to the scarcity of landscape-scale studies, especially in the High Arctic. 2. 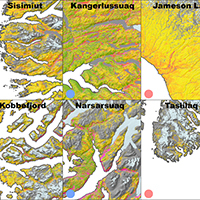 We investigated variations in vascular plant community composition and species richness based on 288 plots distributed on three sites along a High Arctic coast-inland gradient in Northeast Greenland using a stratified random design. We used an information theoretic approach to determine whether variations in species richness within each site were best explained by microclimate, by factors related to local topography (including soil water) or by plant-plant interactions. Latent variable models were used to explain patterns in plant community composition. 3. Species richness was mainly determined by variations in soil water content, explaining 35 % of the variation in number of species, and to a minor degree by other variables related to topography. Species richness was not directly related to macroclimatic conditions. 4. Latent variable models showed that 23.0 % of the variation in community composition was explained by variables related to topography, while distance to the inland ice explained an additional 6.4 %. This indicates that some species are associated with environmental conditions found in only some parts of the coast–inland gradient. Inclusion of macroclimatic variation in the model increased its explanatory power by further 4.2 %. 5. Synthesis. Our results suggest that the main impact of climate changes in the High Arctic will be mediated by their influence on local soil water conditions. Increasing temperatures are likely to cause higher evaporation rates and alter the distribution of late-melting snow patches. This will have little impact on landscape-scale diversity if plants are able to redistribute locally to remain in areas with sufficient soil water. Annual Review of Environment and Resources, 42: 541–567 (2017). Recent changes in Arctic vegetation might not be driven by climate change alone. Legacies of human activities have received little attention as a contributing factor. 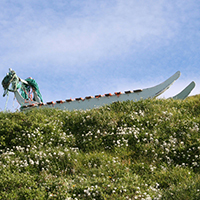 We examine the degree to which traditional human activities (hunting, herding, fire, wood extraction, and agriculture) have had lasting effects on arctic woody plant communities, and therefore might continue to affect biome-wide responses to climate change. Evidence suggests that legacies are likely to be evident across meters to hundreds of kilometres and for decades, centuries, and millennia. The evidence, however, is sparse and we highlight that this could be changed with a circum-arctic collaboratory consisting of a network of interdisciplinary field sites, standardised protocols, participatory research, and new approaches. We suggest that human activities should be brought into consideration with respect to understanding the role of human legacies for Arctic vegetation dynamics in general and for variation in woody plant responses to climate change specifically. Arctic, Antarctic, and Alpine Research, 49(3): 359-371 (2017). 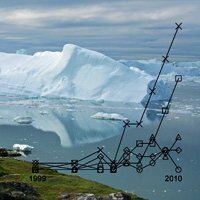 Climate change has been reported to affect shrub growth positively at several sites at high northern latitudes, including several arctic environments. The observed growth rates are, however, not uniform in space and time, and the mechanistic drivers of these patterns remain poorly understood. Here we investigated spatio-temporal interactions between climatic conditions, xylem anatomical traits, and annual growth of 21 Betula nana L. individuals from western Greenland for the period 2001–2011. Structural equation modeling showed that summer precipitation and winter temperature are affecting annual growth positively. Furthermore, vessel lumen area and vessel grouping, which are related to water conductivity and hydraulic connectivity of the xylem, respectively, positively influenced annual growth. To optimize growth B. nana was thus able to adjust its water transporting system. Annual variation in vessel lumen area seemed to be driven mostly by spring and summer temperatures, whereas annual variation in vessel grouping was driven by winter temperature. Linear models did not reveal a pattern in the spatial variation of xylem anatomical traits across the sampled climatic gradient. 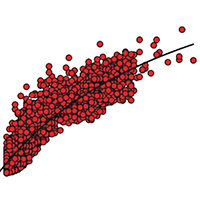 However, growth was positively correlated with local variation in insolation. Our results suggest that B. nana can adjust its hydraulic capacity to annual fluctuations in climatic conditions in order to optimize its total radial stem growth rate. Whether non-arctic species persisted in northern Europe during the Last Glacial Maximum (LGM) is highly debated. Until now, the debate has mostly focused on plants, with little consideration for other groups of organisms, e.g. the numerous plant-dependent insect species. Here, we study the late-Quaternary evolution of the European range of a boreo-montane leaf beetle, Gonioctena intermedia, which feeds exclusively on the boreal and temperate trees Prunus padus and Sorbus aucuparia. 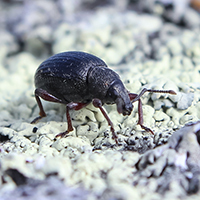 Using species distribution models, we estimated the congruence between areas of past and present suitable climate for this beetle and its host plants. Then we derived historical hypotheses from the congruent range estimates, and evaluated their compatibility with observed DNA sequence variation at five independent loci. We investigated compatibility using computer simulations of population evolution under various coalescence models. We find strong evidence for range modifications in response to late-Quaternary climate changes, and support for the presence of populations of G. intermedia in northern Europe since the beginning of the last glaciation. The presence of a co-dependent insect in the region through the LGM provides new evidence supporting the glacial survival of cold-tolerant tree species in northern Europe. Barrio IC, Lindén E, Te Beest M et al. Chronic, low intensity herbivory by invertebrates, termed background herbivory, has been understudied in tundra, yet its impacts are likely to increase in a warmer Arctic. The magnitude of these changes is however hard to predict as we know little about the drivers of current levels of invertebrate herbivory in tundra. We assessed the intensity of invertebrate herbivory on a common tundra plant, the dwarf birch (Betula glandulosa-nana complex), and investigated its relationship to latitude and climate across the tundra biome. Leaf damage by defoliating, mining and gall-forming invertebrates was measured in samples collected from 192 sites at 56 locations. Our results indicate that invertebrate herbivory is nearly ubiquitous across the tundra biome but occurs at low intensity. On average, invertebrates damaged 11.2% of the leaves and removed 1.4% of total leaf area. The damage was mainly caused by external leaf feeders, and most damaged leaves were only slightly affected (12% leaf area lost). Foliar damage was consistently positively correlated with mid-summer (July) temperature and, to a lesser extent, precipitation in the year of data collection, irrespective of latitude. 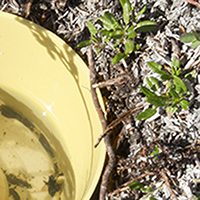 Our models predict that, on average, foliar losses to invertebrates on dwarf birch are likely to increase by 6–7% over the current levels with a 1°C increase in summer temperatures. Our results show that invertebrate herbivory on dwarf birch is small in magnitude but given its prevalence and dependence on climatic variables, background invertebrate herbivory should be included in predictions of climate change impacts on tundra ecosystems. Aims: Long-term climate stability is hypothesized to drive the emergence of species assemblages with large species age differences due to the accumulation of relict species and relatively newly arisen species via reduced extinction and increased speciation. Few studies have addressed these predictions and so far no study has done so for plants across the Northern Hemisphere. Here, we linked Quaternary-scale climate variability to phylogenetic age differences between the oldest and youngest group of species in tree assemblages in 100 km × 100 km grid cells across the Northern Hemisphere to test these predictions. Methods: Last Glacial Maximum (LGM)-to-present shifts in temperature and precipitation were used as proxies for Quaternary-scale glacial–interglacial climate variability. Simultaneous autoregressive (SAR) models were used to assess the relationships between phylogenetic age differences and Quaternary-scale climate variability. 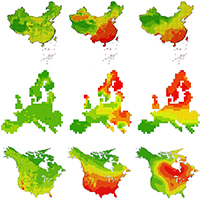 Results: We found that phylogenetic age differences overall were largest in China and smallest in Europe, and they declined with increasing temperature instability as predicted, but only in Europe and North America. In China, the relatively mild Quaternary climate changes did not appear to have strongly affected phylogenetic age differences in tree assemblages. Main conclusions: Our results show that phylogenetically diverse assemblages with large phylogenetic age differences among species are associated with relatively high long-term climate stability, with intra-regional links between long-term climate variability and phylogenetic composition especially strong in the more unstable regions. These findings point to future climate change as a key risk to the preservation of the phylogenetically diverse assemblages in regions characterized by relatively high paleoclimate stability, with China as a key example. Aim: Mapping the distribution and diversity of plant functional traits is critical for projecting future changes to vegetation under global change. Maps of plant functional traits, however, are scarce due very sparse global trait data matrices. A potential solution to this data limitation is to utilize the known levels of phylogenetic signal in trait data to predict missing values. Here we aim to test existing phylogenetic comparative methods for imputing missing trait data for the purpose of producing continental-scale maps of plant functional traits. Location: North America and Europe. Methods: Phylogenetic imputation models and trait data from one continent were used to predict the trait values for tree species on the other continent and to produce trait maps. Predicted maps of trait means, variances and functional diversity were compared with known maps to quantify the degree to which predicted trait values could estimate spatial patterns of trait distributions and diversity. Results: We show that the phylogenetic signal in plant functional trait data can be used to provide robust predictions of the geographical distribution of tree functional diversity. However, predictions for traits with little phylogenetic signal, such as maximum height, are error prone. Lastly, trait imputation methods based on phylogenetic generalized least squares tended to outperform those based on phylogenetic eigenvectors. Main conclusions: It is possible to predict patterns of functional diversity across continental settings with novel species assemblages for most of the traits studied for which we have no direct trait information, thereby offering an effective method for overcoming a key data limitation in global change biology, macroecology and ecosystem modelling. The Arctic is warming at twice the rate of the rest of the world. This impacts Arctic species both directly, through increased temperatures, and indirectly, through structural changes in their habitats. Species are expected to exhibit idiosyncratic responses to structural change, which calls for detailed investigations at the species and community level. Here, we investigate how arthropod assemblages of spiders and beetles respond to variation in habitat structure at small spatial scales. We sampled transitions in shrub dominance and soil moisture between three different habitats (fen, dwarf shrub heath, and tall shrub tundra) at three different sites along a fjord gradient in southwest Greenland, using yellow pitfall cups. We identified 2,547 individuals belonging to 47 species. We used species richness estimation, indicator species analysis and latent variable modeling to examine differences in arthropod community structure in response to habitat variation at local (within site) and regional scales (between sites). We estimated species responses to the environment by fitting species-specific generalized linear models with environmental covariates. 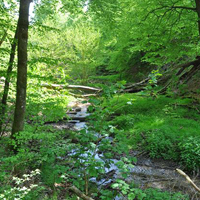 Species assemblages were segregated at the habitat and site level. Each habitat hosted significant indicator species, and species richness and diversity were significantly lower in fen habitats. Assemblage patterns were significantly linked to changes in soil moisture and vegetation height, as well as geographic location. We show that meter-scale variation among habitats affects arthropod community structure, supporting the notion that the Arctic tundra is a heterogeneous environment. To gain sufficient insight into temporal biodiversity change, we require studies of species distributions detailing species habitat preferences. Arthropods form a major part of the terrestrial species diversity in the Arctic, and are particularly sensitive to temporal changes in the abiotic environment. It is assumed that most Arctic arthropods are habitat generalists and that their diversity patterns exhibit low spatial variation. The empirical basis for this assumption, however, is weak. We examine the degree of spatial variation in species diversity and assemblage structure among five habitat types at two sites of similar abiotic conditions and plant species composition in southwest Greenland, using standardized field collection methods for spiders, beetles and butterflies. We employed non-metric multidimensional scaling, species richness estimation, community dissimilarity and indicator species analysis to test for local (within site)- and regional (between site)-scale differences in arthropod communities. To identify specific drivers of local arthropod assemblages, we used a combination of ordination techniques and linear regression. Species richness and the species pool differed between sites, with the latter indicating high species turnover. 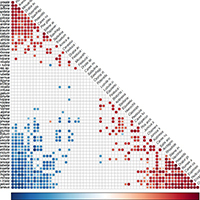 Local-scale assemblage patterns were related to soil moisture and temperature. We conclude that Arctic arthropod species assemblages vary substantially over short distances due to local soil characteristics, while regional variation in the species pool is likely influenced by geographic barriers, i.e., inland ice sheet, glaciers, mountains and large water bodies. In order to predict future changes to Arctic arthropod diversity, further efforts are needed to disentangle contemporary drivers of diversity at multiple spatial scales. Increasing biodiversity loss due to climate change is one of the most vital challenges of the 21st century. To anticipate and mitigate biodiversity loss, models are needed that reliably project species’ range dynamics and extinction risks. Recently, several new approaches to model range dynamics have been developed to supplement correlative species distribution models (SDMs), but applications clearly lag behind model development. Indeed, no comparative analysis has been performed to evaluate their performance. Here, we build on process-based, simulated data for benchmarking five range (dynamic) models of varying complexity including classical SDMs, SDMs coupled with simple dispersal or more complex population dynamic models (SDM hybrids), and a hierarchical Bayesian process-based dynamic range model (DRM). We specifically test the effects of demographic and community processes on model predictive performance. Under current climate, DRMs performed best, although only marginally. Under climate change, predictive performance varied considerably, with no clear winners. Yet, all range dynamic models improved predictions under climate change substantially compared to purely correlative SDMs, and the population dynamic models also predicted reasonable extinction risks for most scenarios. When benchmarking data were simulated with more complex demographic and community processes, simple SDM hybrids including only dispersal often proved most reliable. Finally, we found that structural decisions during model building can have great impact on model accuracy, but prior system knowledge on important processes can reduce these uncertainties considerably. Our results reassure the clear merit in using dynamic approaches for modelling species’ response to climate change but also emphasize several needs for further model and data improvement. We propose and discuss perspectives for improving range projections through combination of multiple models and for making these approaches operational for large numbers of species. The relationship between large-scale gradients in species richness and functional diversity provides important information regarding the mechanisms driving patterns of biodiversity. A classic hypothesis in ecology is that strong interspecific interactions should result in an increase in the functional volume of assemblages as the species richness increases, whereas climatic constraints may result in no change in functional volume. Most research of this kind examines latitudinal gradients in species richness, but the results are likely confounded by underlying gradients in climate and phylogenetic composition. We take an alternative approach that examines functional richness across a tree species richness anomaly where species richness doubles from Europe to eastern North America. The results demonstrate that the functional richness on both continents saturates at a similar point as species richness increases and that the packing of functional space becomes tighter. Further, the species richness anomaly is driven primarily by genera unique to North America, but those genera contribute less than expected functional richness to the region, indicating a high level of redundancy with genera shared between the continents. Taken together, the results indicate that the species richness anomaly is associated with diversification within a climatically constrained trait space. More generally, the work demonstrates the power of utilizing species richness anomalies in biodiversity research, particularly when they are coupled with information regarding organismal function. It remains hotly debated whether latitudinal diversity gradients are common across taxonomic groups and whether a single mechanism can explain such gradients. Investigating species richness (SR) patterns of European land plants, we determine whether SR increases with decreasing latitude, as predicted by theory, and whether the assembly mechanisms differ among taxonomic groups. SR increases towards the south in spermatophytes, but towards the north in ferns and bryophytes. SR patterns in spermatophytes are consistent with their patterns of beta diversity, with high levels of nestedness and turnover in the north and in the south, respectively, indicating species exclusion towards the north and increased opportunities for speciation in the south. 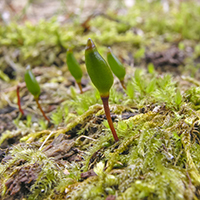 Liverworts exhibit the highest levels of nestedness, suggesting that they represent the most sensitive group to the impact of past climate change. Nevertheless, although the extent of liverwort species turnover in the south is substantially and significantly lower than in spermatophytes, liverworts share with the latter a higher nestedness in the north and a higher turn-over in the south, in contrast to mosses and ferns. The extent to which the similarity in the patterns displayed by spermatophytes and liverworts reflects a similar assembly mechanism remains, however, to be demonstrated. 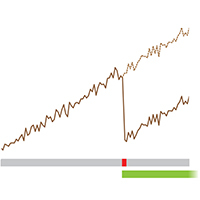 Aim: High intra-specific genetic diversity is necessary for species adaptation to novel environments under climate change, but species tracking suitable conditions are losing alleles through successive founder events during range shift. Here, we investigated the relationship between range shift since the Last Glacial Maximum (LGM) and extant population genetic diversity across multiple plant species to understand variability in species responses. Location: The circumpolar Arctic and northern temperate alpine ranges. Methods: We estimated the climatic niches of 30 cold-adapted plant species using range maps coupled with species distribution models and hindcasted species suitable areas to reconstructions of the mid-Holocene and LGM climates. We computed the species-specific migration distances from the species glacial refugia to their current distribution and correlated distances to extant genetic diversity in 1295 populations. 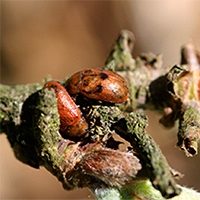 Differential responses among species were related to life-history traits. Results: We found a negative association between inferred migration distances from refugia and genetic diversities in 25 species, but only 11 had statistically significant negative slopes. The relationships between inferred distance and population genetic diversity were steeper for insect-pollinated species than wind-pollinated species, but the difference among pollination system was marginally independent from phylogenetic autocorrelation. Main conclusion: The relationships between inferred migration distances and genetic diversities in 11 species, independent from current isolation, indicate that past range shifts were associated with a genetic bottleneck effect with an average of 21% loss of genetic diversity per 1000 km-1. In contrast, the absence of relationship in many species also indicates that the response is species specific and may be modulated by plant pollination strategies or result from more complex historical contingencies than those modelled here. Earth's climate has experienced strong changes on timescales ranging from decades to millions of years. As biodiversity has evolved under these circumstances, dependence on these climate dynamics is expected. In this review, we assess the current state of knowledge on paleoclimatic legacies in biodiversity and ecosystem patterns. Paleoclimate has had strong impacts on past biodiversity dynamics, driving range shifts and extinctions as well as diversification. We outline theory for how these dynamics may have left legacies in contemporary patterns and review the empirical evidence. We report ample evidence that Quaternary glacial–interglacial climate change affects current patterns of species distributions and diversity across a broad range of organisms and regions. 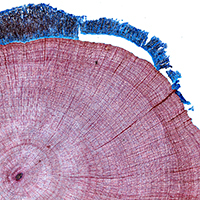 We also report emerging evidence for paleoclimate effects on current patterns in phylogenetic and functional diversity and ecosystem functioning and for legacies of deeper-time paleoclimate conditions. Finally, we discuss implications for Anthropocene ecology and outline an agenda to improve our understanding of paleoclimate's role in shaping contemporary biodiversity and ecosystems. Palms are keystone species in tropical ecosystems and provide essential ecosystem services to rural people worldwide. However, many palm species are threatened by habitat loss and over-exploitation. Furthermore, palms are sensitive to climate and thus vulnerable to future climate changes. Here, we provide a first quantitative assessment of the future risks to the African palm flora, finding that African palm species on average may experience a decline in climatic suitability in >70% of their current ranges by 2080. This suitability loss may, however, be almost halved if migration to nearby climatically suitable sites succeeds. Worryingly, 42% of the areas with 80–100% of species losing climate suitability are also characterized by high human population density (HPD). By 2080, >90% of all African palm species’ ranges will likely occur at HPDs leading to increased risks of habitat loss and overexploitation. Additionally, up to 87% of all species are predicted to lose climatic suitability within current protected areas (PAs) by 2080. In summary, a major plant component of tropical ecosystems and provider of ecosystem services to rural populations will face strongly increased pressures from climate change and human populations in the near future. 1. The effects of climate change on Arctic ecosystems can range between various spatiotemporal scales and may include shifts in population distribution, community composition, plant phenology, primary productivity and species biodiversity. The growth rates and age structure of tundra vegetation as well as its response to temperature variation, however, remain poorly understood because high-resolution data are limited in space and time. 2. 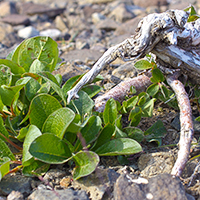 Anatomical and morphological stem characteristics were recorded to assess the growth behaviour and age structure of 871 dwarf shrubs from 10 species at 30 sites in coastal East Greenland at ˜70°N. Recruitment pulses were linked with changes in mean annual and summer temperature back to the 19th century, and a literature review was conducted to place our findings in a pan-Arctic context. 3. Low cambial activity translates into estimated average/maximum plant ages of 59/204 years, suggesting relatively small turnover rates and stable community composition. Decade-long changes in the recruitment intensity were found to lag temperature variability by 2 and 6 years during warmer and colder periods, respectively (r = 0.851961–2000 and 1881–1920). 4. Synthesis. Our results reveal a strong temperature dependency of Arctic dwarf shrub reproduction, a high vulnerability of circumpolar tundra ecosystems to climatic changes, and the ability of evaluating historical vegetation dynamics well beyond the northern treeline. The combined wood anatomical and plant ecological approach, considering insights from micro-sections to community assemblages, indicates that model predictions of rapid tundra expansion (i.e. 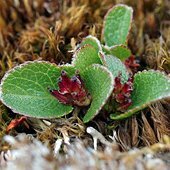 shrub growth) following intense warming might underestimate plant longevity and persistence but overestimate the sensitivity and reaction time of Arctic vegetation. Demographic processes and demographic data are increasingly being included in models of the spatio–temporal dynamics of species’ ranges. In this special issue, we explore how the integration of demographic processes further the conceptual understanding and prediction of species’ range dynamics. The 12 papers originate from two workshops entitled ‘Advancing concepts and models of species range dynamics: understanding and disentangling processes across scales’. 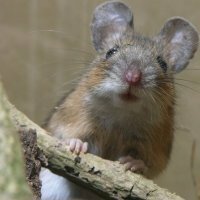 The papers combine theoretical and empirical evidence for the interplay between environmental conditions, species interactions, demographic processes (births, deaths, dispersal), physiology, and evolution, and they point out promising avenues towards a better understanding and prediction of species’ range dynamics. Special Issue: The papers in this special issue arose from two workshops entitled “Advancing concepts and models of species range dynamics: understanding and disentangling processes across scales. Detecting the legacy of time-lagged migration in species ranges is an urgent matter for understanding range dynamics. KISSMig is a simple migration model which generates maps of accessibility from areas of origin and allows the generation and testing of hypotheses about the influence of specific spread patterns on species distributions. KISSMig has important applications: 1) uncovering the influence of limited migration relative to other drivers, 2) detecting areas of origin and their importance as sources of migration, and 3) accounting for limited migration in modeling species distributions. 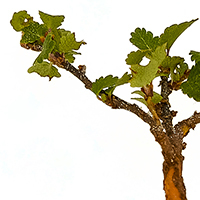 Here we introduce KISSMig and use the oak species Quercus cerris to illustrate these applications. 27. What do we gain from simplicity versus complexity in species distribution models? Species distribution models (SDMs) are widely used to explain and predict species ranges and environmental niches. They are most commonly constructed by inferring species' occurrence–environment relationships using statistical and machine-learning methods. The variety of methods that can be used to construct SDMs (e.g. generalized linear/additive models, tree-based models, maximum entropy, etc. ), and the variety of ways that such models can be implemented, permits substantial flexibility in SDM complexity. Building models with an appropriate amount of complexity for the study objectives is critical for robust inference. We characterize complexity as the shape of the inferred occurrence–environment relationships and the number of parameters used to describe them, and search for insights into whether additional complexity is informative or superfluous. By building ‘under fit’ models, having insufficient flexibility to describe observed occurrence–environment relationships, we risk misunderstanding the factors shaping species distributions. By building ‘over fit’ models, with excessive flexibility, we risk inadvertently ascribing pattern to noise or building opaque models. However, model selection can be challenging, especially when comparing models constructed under different modeling approaches. Here we argue for a more pragmatic approach: researchers should constrain the complexity of their models based on study objective, attributes of the data, and an understanding of how these interact with the underlying biological processes. We discuss guidelines for balancing under fitting with over fitting and consequently how complexity affects decisions made during model building. Although some generalities are possible, our discussion reflects differences in opinions that favor simpler versus more complex models. We conclude that combining insights from both simple and complex SDM building approaches best advances our knowledge of current and future species ranges. Ongoing and predicted global change makes understanding and predicting species' range shifts an urgent scientific priority. Here, we provide a synthetic perspective on the so far poorly understood effects of interspecific interactions on range expansion rates. We present theoretical foundations for how interspecific interactions may modulate range expansion rates, consider examples from empirical studies of biological invasions and natural range expansions as well as process-based simulations, and discuss how interspecific interactions can be more broadly represented in process-based, spatiotemporally explicit range forecasts. Theory tells us that interspecific interactions affect expansion rates via alteration of local population growth rates and spatial displacement rates, but also via effects on other demographic parameters. The best empirical evidence for interspecific effects on expansion rates comes from studies of biological invasions. Notably, invasion studies indicate that competitive dominance and release from specialized enemies can enhance expansion rates. Studies of natural range expansions especially point to the potential for competition from resident species to reduce expansion rates. Overall, it is clear that interspecific interactions may have important consequences for range dynamics, but also that their effects have received too little attention to robustly generalize on their importance. We then discuss how interspecific interactions effects can be more widely incorporated in dynamic modeling of range expansions. Importantly, models must describe spatiotemporal variation in both local population dynamics and dispersal. Finally, we derive the following guidelines for when it is particularly important to explicitly represent interspecific interactions in dynamic range expansion forecasts: if most interacting species show correlated spatial or temporal trends in their effects on the target species, if the number of interacting species is low, and if the abundance of one or more strongly interacting species is not closely linked to the abundance of the target species. A common approach for analysing geographical variation in biodiversity involves using linear models to determine the rate at which species similarity declines with geographical or environmental distance and comparing this rate among regions, taxa or communities. Implicit in this approach areweakly justified assumptions that the rate of species turnover remains constant along gradients and that this rate can therefore serve as a means to compare ecological systems. We use generalized dissimilarity modelling, a novel method that accommodates variation in rates of species turnover along gradients and between different gradients, to compare environmental and spatial controls on the floras of two regions with contrasting evolutionary and climatic histories: southwest Australia and northern Europe. We find stronger signals of climate history in the northern European flora and demonstrate that variation in rates of species turnover is persistent across regions, taxa and different gradients. Such variation may represent an important but often overlooked component of biodiversity that complicates comparisons of distance–decay relationships and underscores the importance of using methods that accommodate the curvilinear relationships expected when modelling beta diversity. Determining how rates of species turnover vary along and between gradients is relevant to understanding the sensitivity of ecological systems to environmental change. Warming-induced expansion of trees and shrubs into tundra vegetation will strongly impact Arctic ecosystems. Today, a small subset of the boreal woody flora found during certain Plio- Pleistocene warm periods inhabits Greenland. Whether the 21st century warming will induce a re-colonisation of a rich woody flora depends on the roles of climate and migration limitations in shaping species ranges. Using potential tree-line and climatic niche modelling, we project shifts in areas climatically suitable for tree growth and 56 Greenlandic, North American and European tree and shrub species from the Last Glacial Maximum through the present and into the future. In combination with observed tree plantings, our modelling highlights that a majority of the non-native species find climatically suitable conditions in certain parts of Greenland today, even in areas harbouring no native trees. Analyses of analog climates indicate that these conditions are widespread outside Greenland, thus increasing the likelihood of woody invasions. Nonetheless, we find a substantial migration lag for Greenland’s current and future woody flora. In conclusion, the projected climatic scope for future expansions is strongly limited by dispersal, soil development, and other disequilibrium dynamics, with plantings and unintentional seed dispersal by humans having potentially large impacts on spread rates. Predicting which species will occur together in the future, and where, remains one of the greatest challenges in ecology, and requires a sound understanding of how the abiotic and biotic environments interact with dispersal processes and history across scales. Biotic interactions and their dynamics influence species' relationships to climate, and this also has important implications for predicting future distributions of species. It is already well accepted that biotic interactions shape species' spatial distributions at local spatial extents, but the role of these interactions beyond local extents (e.g. 10 km2 to global extents) are usually dismissed as unimportant. In this review we consolidate evidence for how biotic interactions shape species distributions beyond local extents and review methods for integrating biotic interactions into species distribution modelling tools. Drawing upon evidence from contemporary and palaeoecological studies of individual species ranges, functional groups, and species richness patterns, we show that biotic interactions have clearly left their mark on species distributions and realised assemblages of species across all spatial extents. We demonstrate this with examples from within and across trophic groups. A range of species distribution modelling tools is available to quantify species environmental relationships and predict species occurrence, such as: (i) integrating pairwise dependencies, (ii) using integrative predictors, and (iii) hybridising species distribution models (SDMs) with dynamic models. These methods have typically only been applied to interacting pairs of species at a single time, require a priori ecological knowledge about which species interact, and due to data paucity must assume that biotic interactions are constant in space and time. To better inform the future development of these models across spatial scales, we call for accelerated collection of spatially and temporally explicit species data. Ideally, these data should be sampled to reflect variation in the underlying environment across large spatial extents, and at fine spatial resolution. Simplified ecosystems where there are relatively few interacting species and sometimes a wealth of existing ecosystem monitoring data (e.g. arctic, alpine or island habitats) offer settings where the development of modelling tools that account for biotic interactions may be less difficult than elsewhere. Aim To identify potential source and sink locations for climate-driven species range shifts in Europe since the Last Glacial Maximum (LGM). Methods We developed a new approach combining past-climate simulations with the concept of analogous climate space. Our index gives a continuous measure of the potential of a location to have acted as a source or a sink for species that have shifted their ranges since the LGM. High glacial source potential is indicated by LGM climatic conditions that are widespread now; high post-glacial sink potential is indicated by current climatic conditions that were widespread at the LGM. The degree of isolation of source and sink areas was calculated as the median distance to areas with analogous climate conditions. Results We identified areas of high glacial source potential in the previously recognized refugial areas in the southern European peninsulas, but also in large areas in central-western Europe. The most climatically isolated source areas were located in northern Spain, in north-western Europe and in eastern Turkey. From here species would have had to cover substantial distances to find current climate conditions analogous to LGM conditions of these areas. Areas with high postglacial sink potential were mainly located in Fennoscandia and in central and south-eastern Europe. Some of the most isolated sink areas were located in the Spanish highlands and around the Baltic Sea. Main conclusions Our species-independent approach successfully identified previously recognized glacial refugial areas with high source potential for species range shifts in southern Europe and in addition highlighted other potential source areas in central Europe. This study offers new insights into how the distribution of past and current climatic conditions may have influenced past species range shifts and current large-scale biodiversity patterns. 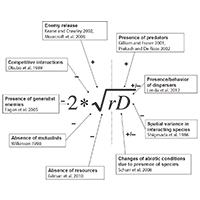 The influence of dispersal limitation on species ranges remains controversial. 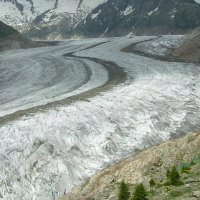 Considering the dramatic impacts of the last glaciation in Europe, species might not have tracked climate changes through time and, as a consequence, their present-day ranges might be in disequilibrium with current climate. 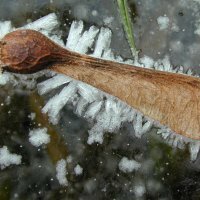 For 1016 European plant species, we assessed the relative importance of current climate and limited postglacial migration in determining species ranges using regression modelling and explanatory variables representing climate, and a novel species-specific hind-casting-based measure of accessibility to postglacial colonization. Climate was important for all species, while postglacial colonization also constrained the ranges of more than 50 per cent of the species. On average, climate explained five times more variation in species ranges than accessibility, but accessibility was the strongest determinant for one-sixth of the species. Accessibility was particularly important for species with limited long-distance dispersal ability, with southern glacial ranges, seed plants compared with ferns, and small-range species in southern Europe. In addition, accessibility explained one-third of the variation in species' disequilibrium with climate as measured by the realized/potential range size ratio computed with niche modelling. In conclusion, we show that although climate is the dominant broad-scale determinant of European plant species ranges, constrained dispersal plays an important supplementary role. Species distribution modeling (SDM: statistical and/or mechanistic approaches to the assessment of range determinants and prediction of species occurrence) offers new possibilities for estimating and studying past organism distributions. 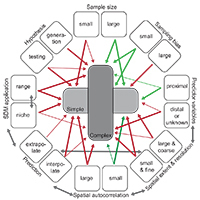 SDM complements fossil and genetic evidence by providing (i) quantitative and potentially high-resolution predictions of the past organism distributions, (ii) statistically formulated, testable ecological hypotheses regarding past distributions and communities, and (iii) statistical assessment of range determinants. In this article, we provide an overview of applications of SDM to paleobiology, outlining the methodology, reviewing SDM-based studies to paleobiology or at the interface of paleo- and neobiology, discussing assumptions and uncertainties as well as how to handle them, and providing a synthesis and outlook. Key methodological issues for SDM applications to paleobiology include predictor variables (types and properties; special emphasis is given to paleoclimate), model validation (particularly important given the emphasis on cross-temporal predictions in paleobiological applications), and the integration of SDM and genetics approaches. Over the last few years the number of studies using SDM to address paleobiology-related questions has increased considerably. While some of these studies only use SDM (23%), most combine them with genetically inferred patterns (49%), paleoecological records (22%), or both (6%). A large number of SDM-based studies have addressed the role of Pleistocene glacial refugia in biogeography and evolution, especially in Europe, but also in many other regions. SDM-based approaches are also beginning to contribute to a suite of other research questions, such as historical constraints on current distributions and diversity patterns, the end-Pleistocene megafaunal extinctions, past community assembly, human paleobiogeography, Holocene paleoecology, and even deep-time biogeography (notably, providing insights into biogeographic dynamics >400 million years ago). We discuss important assumptions and uncertainties that affect the SDM approach to paleobiology - the equilibrium postulate, niche stability, changing atmospheric CO2 concentrations - as well as ways to address these (ensemble, functional SDM, and non-SDM ecoinformatics approaches). 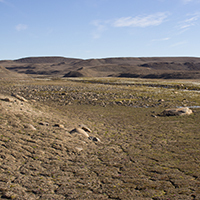 We conclude that the SDM approach offers important opportunities for advances in paleobiology by providing a quantitative ecological perspective, and hereby also offers the potential for an enhanced contribution of paleobiology to ecology and conservation biology, e.g., for estimating climate change impacts and for informing ecological restoration. species distribution modeling • hindcasting • ecoinformatics • glacial refugia • biogeography • phylogeography • paleodistribution models • ecological niche modeling. The paper provides a commentary on the paleoecological study by Väliranta et al. (2011, Journal of Biogeography) and a minireview on open questions such as: How far north did tree species survive the Last Glacial Maximum (LGM, ca. 21kya)? 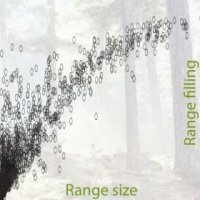 How fast did tree species spread and thus current forest structure develop during post-LGM warming? We conclude that in order to understand the spread of boreal trees and other plant species with post-LGM warming, the areas of the Russian plain and Ural need special attention. Aim We deconstructed the mammal species richness pattern in Europe to assess the importance of large-scale gradients in current macroclimate relative to biogeographic history, habitat heterogeneity and human influence (HHH variables) as richness determinants for total species, and for widespread and endemic species separately. Location Europe, west of 30° E.
Methods We deconstructed total species richness (50-km resolution) into its widespread and endemic species richness components. We used simultaneous autoregressive modelling (SAR) with information-theoretic model selection and variation partitioning to assess the importance of macroclimate and HHH variables. The HHH variables included two historical factors, estimated by novel methodologies: (1) ice-age-driven dynamics, represented by accessibility to recolonization from hindcasting-estimated glacial refugia, and (2) biogeographic peninsular dynamics, represented by distance to the entry region for the main European faunal source in western Asia. Results A large fraction of explained variation was shared between macroclimate and HHH in the SAR models. For total species richness, more variation could be uniquely attributed to macroclimate than to HHH, whereas for the deconstructed patterns (widespread and endemic species) the opposite was the case. Considering the individual factors, there was a strong peninsula effect on both widespread and endemic species richness but not on total richness. Main conclusions Both macroclimate and HHH variables (history, habitat heterogeneity and human influence) proved important predictors of species richness, but also difficult to disentangle. Notably, biogeographic history, in particular peninsular dynamics, is an important determinant of widespread and endemic species richness. Environmental conditions and biotic interactions are generally thought to influence local species richness. However, immigration and the evolutionary and historical factors that shape regional species pools should also contribute to determining local species richness because local communities arise by assembly from regional species pools. Using the European tree flora as our study system, we implemented a novel approach to assess the relative importance of local and regional mechanisms that control local species richness. We first identified species pools that tolerate particular local environments and quantified the proportion of the pool that is present locally, i.e. the realized/potential (R/P) richness ratio. Because no consensus exists on how to estimate potential richness, we estimated it using three different approaches. Using these three estimates separately and in a combined ensemble estimate, we then analyzed the effects of potential drivers on R/P richness ratios. We predicted that the R/P richness ratio would 1) increase with decreasing distance from glacial refugia (accessibility), 2) and be generally low in geographically fragmented southern Europe because of dispersal limitation; 3) increase with actual evapotranspiration because greater availability of water and energy promotes local population persistence; and 4) increase with topographic heterogeneity because it promotes local species coexistence and facilitates long-term species survival. There was considerable variation among the three R/P richness ratio estimates, but we found consistent support for a negative effect of regional geographic fragmentation and a positive topographic effect. We also identified fairly broad support for the predicted effect of accessibility. We conclude that local tree assemblages in Europe often fail to realize a large proportion of the potential richness held in the regional species pool, partially reflecting their geographical, historical, and environmental circumstances. The dispersal-related effects of geographic fragmentation and accessibility exemplify regional controls that combine with local ecological sorting to determine local species richness. Aim: We examined whether species occurrences are primarily limited by physiological tolerance in the abiotically more stressful end of climatic gradients (the asymmetric abiotic stress limitation (AASL) hypothesis) and the geographical predictions of this hypothesis: abiotic stress mainly determines upper-latitudinal and upper-altitudinal species range limits, and the importance of abiotic stress for these range limits increases the further northwards and upwards a species occurs. Location: Europe and the Swiss Alps. Methods: The AASL hypothesis predicts that species have skewed responses to climatic gradients, with a steep decline towards the more stressful conditions. Based on presence–absence data we examined the shape of plant species responses (measured as probability of occurrence) along three climatic gradients across latitudes in Europe (1577 species) and altitudes in the Swiss Alps (284 species) using Huisman–Olff–Fresco, generalized linear and generalized additive models. Results: We found that almost half of the species from Europe and one-third from the Swiss Alps showed responses consistent with the predictions of the AASL hypothesis. Cold temperatures and a short growing season seemed to determine the upper-latitudinal and upper-altitudinal range limits of up to one-third of the species, while drought provided an important constraint at lower-latitudinal range limits for up to one-fifth of the species. We found a biome-dependent influence of abiotic stress and no clear support for abiotic stress as a stronger upper range-limit determinant for species with higher latitudinal and altitudinal distributions. However, the overall influence of climate as a range-limit determinant increased with latitude. Main conclusions: Our results support the AASL hypothesis for almost half of the studied species, and suggest that temperature-related stress controls the upper-latitudinal and upper-altitudinal range limits of a large proportion of these species, while other factors including drought stress may be important at the lower range limits. Aim In addition to the traditionally recognized Last Glacial Maximum (LGM, 21 ka) refuge areas in the Mediterranean region, more northerly LGM distributions for temperate and boreal taxa in central and eastern Europe are increasingly being discussed based on palaeoecological and phylogeographical evidence. Our aim was to investigate the potential refuge locations using species distribution modelling to estimate the geographical distribution of suitable climatic conditions for selected rodent species during the LGM. Methods Presence/absence data for seven rodent species with range limits corresponding to the limits of temperate or boreal forest or arctic tundra were used in the analysis. We developed predictive distribution models based on the species present-day European distributions and validated these against their present-day Siberian ranges. The models with the best predictors of the species distributions across Siberia were projected onto LGM climate simulations to assess the distribution of climatically suitable areas. Results The best distribution models provided good predictions of the present-day Siberian ranges of the study species. Their LGM projections showed that areas with a suitable LGM climate for the three temperate species (Apodemus flavicollis, Apodemus sylvaticus and Microtus arvalis) were largely restricted to the traditionally recognized southern refuge areas, i.e. mainly in the Mediterranean region, but also southernmost France and southern parts of the Russian Plain. In contrast, suitable climatic conditions for the two boreal species (Clethrionomys glareous and Microtus agrestis) were predicted as far north as southern England and across southern parts of central and eastern Europe eastwards into the Russian Plain. For the two arctic species (Lemmus lemmus and Microtus oeconomus), suitable climate was predicted from the Atlantic coast eastward across central Europe and into Russia. Main conclusions Our results support the idea of more northerly refuge areas in Europe, indicating that boreal species would have found suitable living conditions over much of southern central and eastern Europe and the Russian Plain. Temperate species would have primarily found suitable conditions in the traditional southern refuge areas, but interestingly also in much of the southern Russian Plain. Future climate change constitutes a major threat to Earth's biodiversity. If anthropogenic greenhouse gas emissions continue unabated, 21st century climate change is likely to exceed the natural adaptive capacity of many natural ecosystems and a large proportion of species may risk extinction. 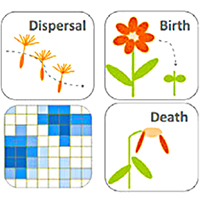 A recurrent finding is that the degree of negative impact depends strongly on the dispersal potential of the species. However, there is a growing realization that many, if not most species would be unlikely to disperse as fast and far as required. As a consequence, it has been proposed that species at risk should be actively translocated into unoccupied, but environmentally suitable areas that are likely to stay suitable over the next 100 or more years (assisted colonization or assisted migration). This solution is controversial, though, reflecting negative experiences with introduced exotics and probably also the traditional emphasis in conservation management on preserving a certain local, often historical situation with a static species composition, and a tendency among ecologists to think of biological communities as generally saturated with species. Using the European flora as a case study, we here estimate the main environmental controls of plant species richness, assess how the maximum observed species richness depends on these environmental controls, and based here on estimate how many species could at least be added to an area before further species additions would perhaps inevitably lead to corresponding losses locally. Our results suggest that there is substantial room for additional plant species across most areas of Europe, indicating that there is considerable scope for implementing assisted colonization as a proactive conservation strategy under global warming without necessarily implicating negative effects on the native flora in the areas targeted for establishment of translocated populations. Notably, our results suggest that 50% of the cells in Northern Europe, the likely target area for many translocations, could harbor at least 1/3 as many additional species as they have native species. However, we also emphasize that other, more traditional conservation strategies should also be strengthened, notably providing more space for nature and reducing nitrogen deposition to increase population resilience and facilitate unassisted colonization. Furthermore, any implementation of assisted colonization should be done cautiously, with a careful analysis on a species-by-species case. In this paper we examined the potential impacts of predicted climatic changes on the flora and vegetation in Denmark using data from a digital database on the natural vegetation of Europe. Climate scenarios A2 and B2 were used to find regions with present climatic conditions similar to Denmark's climate in the year 2100. The potential natural vegetation of Denmark today is predominantly deciduous forest that would cover more than 90% of the landscape. Swamps, bogs, and wet forest would be found under moist or wet conditions. Dwarf shrub heaths would be naturally occurring on poor soils along the coast together with dune systems and salt-marsh vegetation. When comparing the natural vegetation of Denmark to the vegetation of five future-climate analogue areas, the most obvious trend is a shift from deciduous to thermophilous broadleaved forest currently found in Southern and Eastern Europe. 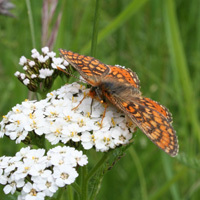 A total of 983 taxa were recorded for this study of which 539 were found in Denmark. The Sørensen index was used to measure the floristic similarity between Denmark and the five subregions. 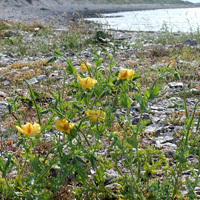 Deciduous forest, dwarf shrub heath, and coastal vegetation were treated in more detail, focusing on potential new immigrant species to Denmark. Finally, implications for management were discussed. The floristic similarity between Denmark and regions in Europe with a climate similar to what is expected for Denmark in year 2100 was found to vary between 48–78%, decreasing from North to South. Hence, it seems inevitable that climate changes of the magnitudes foreseen will alter the distribution of individual species and the composition of natural vegetation units. Changes, however, will not be immediate. Historic evidence shows a considerable lag in response to climatic change under natural conditions, but little is known about the effects of human land-use and pollution on this process. Facing such uncertainties we suggested that a dynamic strategy based on modeling, monitoring and adaptive management is adopted. Modeling techniques can be constantly improved, but will never be perfect and should therefore be linked to a fine-masked network of observatories to check model predictions and feed empirical data back into the models for calibration and further development. Plio-Pleistocene climate change may have induced geographic heterogeneity in plant species richness–environment relationships in Europe due to greater in situ species survival and speciation rates in southern Europe. 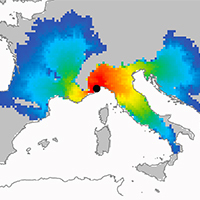 We formulate distinct hypotheses on how Plio-Pleistocene climate change may have affected richness–topographic heterogeneity and richness–water-energy availability relationships, causing steeper relationships in southern Europe. We investigated these hypotheses using data from Atlas Florae Europaeae on the distribution of 3069 species and geographically weighted regression (GWR). Our analyses showed that plant species richness generally increased with topographic heterogeneity (ln-transformed altitudinal range) and actual evapotranspiration (AET). We also found evidence for strong geographic heterogeneity in the species richness–environment relationship, with a greater increase in species richness with increasing topographic heterogeneity in southern Europe (mean standardized local slope 0.610±0.245 SD in southern Europe, but only 0.270±0.175 SD in northern Europe). However, the local AET slopes were, at most, weakly different between the two regions, and their pattern did not conform to predictions, as there was a band of high local slopes across southern-central northern Europe. This band broadly matches the transition between the temperate and boreal zones and may simply reflect the fact that few species tolerate the boreal climate. We discuss the potential explanations for the contrasting findings for the two richness–environment relationships. In conclusion, we find support for the idea that Plio-Pleistocene climate change may sometimes affect current species richness–environment relationships via its effects on regional species pools. However, further studies integrating information on species ages and clade differentiation rates will be needed to substantiate this interpretation. On a general level, our results indicate that although strong richness–environment relationships are often found in macroecological studies, these can be contingent upon the historical constraints on the species pool. Mountain ecosystems will likely be affected by global warming during the 21st century, with substantial biodiversity loss predicted by species distribution models (SDMs). Depending on the geographic extent, elevation range, and spatial resolution of data used in making these models, different rates of habitat loss have been predicted, with associated risk of species extinction. Few coordinated across-scale comparisons have been made using data of different resolutions and geographic extents. Here, we assess whether climate change-induced habitat losses predicted at the European scale (10–10′ grid cells) are also predicted from local-scale data and modeling (25mx25m grid cells) in two regions of the Swiss Alps. We show that local-scale models predict persistence of suitable habitats in up to 100% of species that were predicted by a European-scale model to lose all their suitable habitats in the area. Proportion of habitat loss depends on climate change scenario and study area. We find good agreement between the mismatch in predictions between scales and the fine-grain elevation range within 10–10′ cells. The greatest prediction discrepancy for alpine species occurs in the area with the largest nival zone. Our results suggest elevation range as the main driver for the observed prediction discrepancies. Local-scale projections may better reflect the possibility for species to track their climatic requirement toward higher elevations. Polyploidy is often assumed to increase the spread and thus the success of alien plant species, but few empirical studies exist. 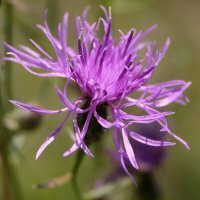 We tested this hypothesis with Centaurea maculosa Lam., a species native to Europe and introduced into North America approximately 120 years ago where it became highly invasive. We analyzed the ploidy level of more than 2000 plants from 93 native and 48 invasive C. maculosa populations and found a pronounced shift in the relative frequency of diploid and tetraploid cytotypes. In Europe diploid populations occur in higher frequencies than tetraploids and only four populations had both cytotypes, while in North America diploid plants were found in only one mixed population and thus tetraploids clearly dominated. Our results showed a pronounced shift in the climatic niche between tetraploid populations in the native and introduced range toward drier climate in North America and a similar albeit smaller shift between diploids and tetraploids in the native range. The field data indicate that diploids have a predominately monocarpic life cycle, while tetraploids are often polycarpic. Additionally, the polycarpic life-form seems to be more prevalent among tetraploids in the introduced range than among tetraploids in the native range. Our study suggests that both ploidy types of C. maculosa were introduced into North America, but tetraploids became the dominant cytotype with invasion. We suggest that the invasive success of C. maculosa is partly due to preadaptation of the tetraploid cytotype in Europe to drier climate and possibly further adaptation to these conditions in the introduced range. The potential for earlier and longer seed production associated with the polycarpic life cycle constitutes an additional factor that may have led to the dominance of tetraploids over diploids in the introduced range. Aim Climate change may cause loss of genetic diversity. Here we explore how a multidisciplinary approach can be used to infer effects of past climate change on species distribution and genetic diversity and also to predict loss of diversity due to future climate change. We use the arctic-alpine plant Salix herbacea L. as a model. Location Europe, Greenland and eastern North America. Methods We analysed 399 samples from 41 populations for amplified fragment length polymorphism (AFLP) to identify current patterns of genetic structure and diversity and likely historical dispersal routes. 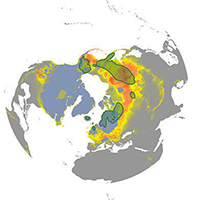 Macrofossil records were compiled to infer past distribution, and species distribution models were used to predict the Last Glacial Maximum (LGM) and future distribution of climatically suitable areas. Results We found strong genetic differentiation between the populations from Europe/East Greenland and those from Canada/West Greenland, indicating a split probably predating the LGM. Much less differentiation was observed among the four genetic groups identified in Europe, and diversity was high in the Scandinavian as well as in southern alpine populations. Continuous distribution in Central Europe during the last glaciation was inferred based on the fossil records and distribution modelling. A 46–57% reduction in suitable areas was predicted in 2080 compared to present. 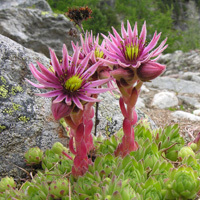 However, mainly southern alpine populations may go extinct, causing a loss of about 5% of the genetic diversity in the species. Main conclusions From a continuous range in Central Europe during the last glaciation, northward colonization probably occurred as a broad front maintaining diversity as the climate warmed. This explains why potential extinction of southern populations by 2080 will cause a comparatively low loss of the genetic diversity in S. herbacea . 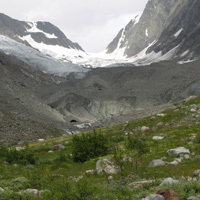 For other species with different glacial histories, however, the expected climate-change induced regional extinction may cause a more severe loss of genetic diversity. We conclude that our multidisciplinary approach may be a useful tool for assessing impact of climate change on loss of genetic diversity. 1. The Pleistocene is an important period for assessing the impact of climate change on biodiversity. During the Last Glacial Maximum (LGM; 21 000 years ago), large glaciers and permafrost reached far south in Europe. 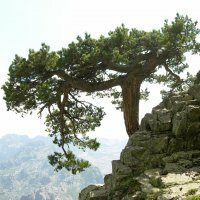 Trees are traditionally thought to have survived only in scattered Mediterranean refugia (southern refugia hypothesis), but a recent proposal suggests that trees may have been much more widely and northerly distributed (northern refugia hypothesis). 2. In this study, the southern vs. northern refugia hypotheses were investigated by estimating the potential LGM distributions of 7 boreal and 15 nemoral widespread European tree species using species distribution modelling. The models were calibrated using data for modern species distributions and climate and projected onto two LGM climate simulations for Europe. Five modelling variants were implemented. 3. Models with moderate to good predictive ability for current species range limits and species richness patterns were developed. 4. Broadly consistent results were obtained irrespective of the climate simulation and modelling variant used. Our results indicate that LGM climatic conditions suitable for boreal species existed across Central and Eastern Europe and into the Russian Plain. In contrast, suitable climatic conditions for nemoral tree species were largely restricted to the Mediterranean and Black Sea regions. Large proportions of these northern and southern regions would have been suitable for a number of boreal or boreal plus nemoral tree species, respectively. 5. These findings are consistent with recent palaeoecological and phylogeographic data regarding LGM distributions of trees and other boreal and nemoral taxa. 6. Synthesis. It is clear that the view of the LGM landscape in Europe as largely treeless, especially north of the Alps, needs to be revised. Trees were probably much more widespread during the LGM than hitherto thought, although patchily distributed at low densities due to low atmospheric CO2 concentrations and high wind-speeds. The findings presented here help explain the occurrence of mammal assemblages with mixtures of forest, tundra and steppe species at many localities in southern Central and Eastern Europe during the LGM, as well as the phylogeographic evidence for the extra-Mediterranean persistence of many boreal species. Knowledge of the role of landscapes in shaping genetic connectivity and divergence is essential for understanding patterns of biogeography and diversity. This is particularly relevant for the Andes region, a major biodiversity hotspot of relatively recent origin. 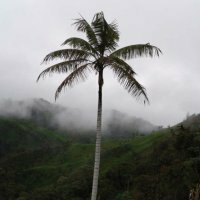 We examined the phylogeography and landscape genetics of the Andean wax palm Ceroxylon echinulatum (Arecaceae) that occurs in two narrow bands of montane forests on each side of the Andes in Ecuador and northeastern Peru. First, we tested the hypothesis of C. echinulatum being a geographic cline species crossing the Andes in the Amotape–Huancabamba zone (AHZ) of southern Ecuador/northern Peru, as indicated by observations on fruit morphology. Second, we assessed the timeframe of cross-Andean divergence, and third, we investigated the impact of contemporary and historical landscape features on observed spatio-genetic patterns. Individual-based Bayesian clustering (BC) identified a northeastern, southeastern, southwestern, and northwestern cluster, with areas of genetic discontinuity coinciding with the Andes and the Giron–Paute deflection. F-statistics derived from BC suggested an east-to-west dispersal history. Population-based analyses revealed strong genetic structuring at both small and large geographic scales. Interpopulation relationships and Mantel tests strongly supported the cline model with cross-Andean dispersal in the AHZ. Along the cline, gene flow measured as FST was mainly limited by distance, with less but significant impact of climatic friction. Coalescent analysis revealed that cross-Andean divergence took place during the Quaternary. Significant historical isolation (RST > FST) was found in the southwestern population. The current study illustrates a joint effect of founder dynamics, divergence by distance and historical isolation on patterns of Andean diversity and distribution. Climate is often singled out as the primary range limiting factor at large scales, while other environmental factors, notably soil, are thought to predominate at smaller scales. However, the postglacial migrational lag hypothesis controversially suggests that many species are strongly dispersal-limited and still expanding from their ice age refugia. 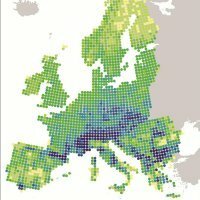 We investigated the importance of postglacial migrational lag, climate, and soil as range determinants for 47 widespread forest plant species across nemoral Europe (47.0–60.0°N, west of 24.0°E) using regression modeling, information-theoretic model selection, multi-model inference, and variation partitioning. Migrational lag was represented by a measure of accessibility to recolonization from ice age refugia. Twelve species were largely ubiquitous and not analyzed further. For the remaining species, there was strong support for climate, soil, and accessibility to postglacial recolonization. Accessibility accounted for a small to moderate amount of variation, but its model-averaged regression coefficient was stronger than those for climate or soil for 11 species and the second or third strongest coefficient for an additional 10 species. The resulting odds ratios were greater than one for 33 out of 35 species, i.e. adjusted for climate and soil, prevalence for the far majority of the 35 non-ubiquitous species increased with increasing accessibility. 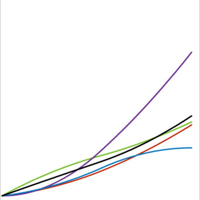 There were no differences among growth forms in the importance of accessibility. In contrast, compared to non-boreal species, accessibility had little importance for species with wide boreal distributions, as expected from their more widespread, northern glacial distributions. In conclusion, even the ranges of many widespread forest plant species are probably still moderately to strongly limited by postglacial migrational lag. Therefore, although species ranges are also strongly influenced by climate, we cannot expect most forest plant species to closely track the expected 21st century climatic changes. The main goal of the Habitats Directive, a key document for European conservation, is to maintain a ‘favourable’ conservation status of selected species and habitats. In the face of near-future climatic change this goal may become difficult to achieve. 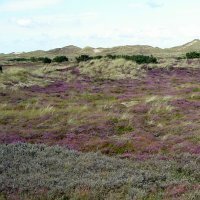 Here, we evaluate the sensitivity to climate change of 84 plant species that characterise the Danish habitat types included in the Habitats Directive. A fuzzy bioclimatic envelope model, linking European and Northwest African species’ distribution data with climate, was used to predict climatically suitable areas for these species in year 2100 under two-climate change scenarios. Climate sensitivity was evaluated at both Danish and European scales to provide an explicit European perspective on the impacts predicted for Denmark. In all 69–99% of the species were predicted to become negatively affected by climate change at either scale. Application of international Red List criteria showed that 43–55% and 17–69% would become vulnerable in Denmark and Europe, respectively. 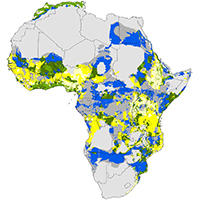 Northwest African atlas data were used to improve the ecological accuracy of the future predictions. For comparison, using only European data added 0–7% to these numbers. No species were predicted to become extinct in Europe, but 4–7% could be lost from Denmark. Some species were predicted to become positively affected in Denmark, but negatively affected in Europe. In addition to nationally endangered species, this group would be an important focus for a Danish conservation strategy. A geographically differentiated Danish conservation strategy is suggested as the eastern part of Denmark was predicted to be more negatively affected than the western part. No differences in the sensitivity of the Habitats Directive habitats were found. We conclude that the conservation strategy of the Habitats Directive needs to integrate the expected shifts in species’ distributions due to climate change. A response to Welk, E. & Bruelheide, H. (2006) There may be bias in R/P ratios (realized vs. potential range) calculated for European tree species - an illustrated comment on SVENNING & SKOV. Journal of Biogeography, 33, 2013-2018. In their comment, Welk & Bruelheide (2006; hereafter, W&B) argue that the results of Svenning & Skov (2004; hereafter, S&S) are too influenced by confounding factors and biases to support our conclusion that the low R/P ratios found for many European tree species to a large extent reflect dispersal limitation. Although we agree that the estimation of potential species ranges is a topic that needs much further study, we believe the S&S results are at least qualitatively robust, and explain why below. Our response follows the structure of W&B's commentary. 0.3–143 km extent) beta diversity using ordination, multiple regressions on distance matrices and Indicator Species Analysis. 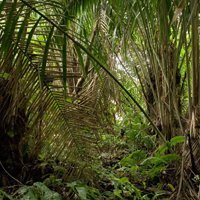 A total of 15,869 individuals and 37 species of palm were sampled in 10 terrace forest transects, while 3758 individuals and 21 species were sampled in two adjacent floodplain forest transects for comparison. The terrace and floodplain forest were clearly different in their diversity and floristic composition. The relative importance of geographical distance and environmental difference as controls of terrace forest beta diversity was scale dependent, with environmental differences, notably in soil moisture, dominating at local scales and geographical distance dominating at regional scales. In fact, none of the environmental factors had a significant influence on regional-scale beta diversity. The geographical distance decay in floristic similarity was markedly steeper at local scale (–0.25 km–1) than at regional scale (–0.003 km–1). Such a nonlinear decay is expected if simple dispersal limitation controls beta diversity. However, the absent flattening of the distance decay at the largest distances and the sub-Andean affinities of the westernmost palm communities suggest that large-scale biogeographical processes also contribute to the regional-scale beta diversity. Hereby our results indicate that not only local environment, but also dispersal limitation and biogeographical history can be important controls of the diversity and composition of local plant communities. Aphandra natalia (Balslev and Henderson) Barfod, an economically important fibre producing palm, is common in rainforest on low terraces along the Pastaza and Urituyacu rivers in Amazonian Peru. The aim of this study was to investigate the spatial distribution and environmental preferences of Aphandra in old-growth terrace forest to which it is limited in this region.Densities of immature and mature individuals were 507 ± 212 (S.D.) ha-1 and 19 ± 8 ha-1, respectively, in 11 (5 x 500 m) transects placed in old growth terrace forest near four villages and 739 ± 188 ha-1 and 96 ± 49 ha-1, respectively, in six irregular transects placed in what the local villagers considered dense Aphandra stands. We examined environmental and spatial correlates of Aphandra occurrences using stepwise multiple autologistic regressions. Site, soil moisture, slope inclination, and topographic position influenced the spatial distribution of Aphandra. Furthermore, the distribution was strongly clumped, independently of environmental factors, with particularly the concentration of immature individuals around adults pointing to dispersal limitation as the likely causal mechanism. 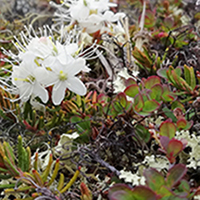 How do arctic shrubs respond to climate change? Answering this question is essential for understanding how the function of Arctic eco-systems might change in the future. 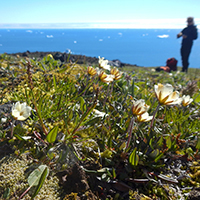 The aim of the 2016 field campaign was to collect the data needed to investigate the variation in growth, functional traits, and the distribution of plant species at several sites from Princess Ingeborg’s Peninsula towards the Inland ice. Specifically, data were collected for: (i) a dendro-ecological investigation of local shrub recruitment and growth pulses across time, their correlation with climate change, as well as their potential variation across environmental gradients, (ii) mapping of the spatial distribution of the cover of shrubs and other vegetation types with ground-truthing in 2-m circles, ultra-high resolution imagery from drones (0.5-13cm, depending on the mounted sensor), high-resolution satellite imagery (worldview 3, <2m, Figure 1), and (iii) quantification of variation in species functional traits (especially specific leaf area, wood density, and vegetation heights) across climatic gradients. 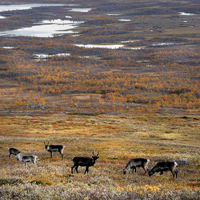 The Arctic is warming and the vegetation is changing. Shrubs are growing taller and increase in cover across the landscape, however, with various rates of change across the Arctic. We miss knowledge of the underlying processes. 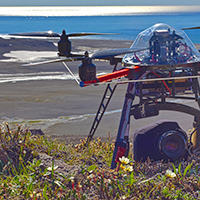 With the help of new research methods, e.g., drones and advanced models, the project is expected to gain insight on how the distribution of arctic plant species will change locally as well as biome-wide, as well as on the factors that drive these changes now and in the future. Arktis opvarmes, og vegetationen er under forandring. Buske vokser sig højere og spreder sig i landskabet, men med forskellig hastighed på tværs af Arktis. Vi mangler viden om den proces. Ved hjælp af nye forskningsmetoder, fx droner og avancerede modeller, forventes projektet at bidrage med ny viden om, hvordan fordelingen af arktiske plantearter ændres lokalt og globalt, samt hvilke faktorer der driver ændringerne både nu og i fremtiden. Global change does not manifest itself everywhere to the same extend. In the arctic, temperatures rise faster than average which affects the occurrence and distribution of plants. 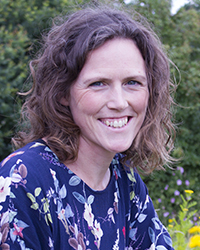 Signe Normand and her team at Aarhus University, Denmark, aims at understanding the underlying processes. Die globale Erwärmung manifestiert sich nicht überall gleich, in der Arktis wird es überdurchschnittlich wärmer. Das wirkt sich auf das Vorkommen und die Verbreitung der Pflanzen aus. Ein dänisches Forscherteam um Signe Normand von der Universität Aarhus untersucht die Zusammenhänge. 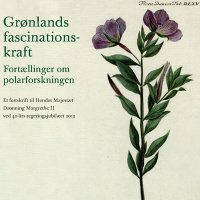 Grønlands fascinationskraft: Fortællinger om polarforskningen. Et festskrift til Hendes Majestæt Dronning Margrethe II ved 40-års-regeringsjubilæet (red. Marita Akhøj Nielsen): 148-161 (in Danish, 2012). Grønland er temaet for Videnskabernes Selskabs festskrift til Dronningen i anledning af regeringsjubilæet. Det er kongehusets varme engagement i Grønland, der har været bestemmende for valget af tema. Medlemmer af Videnskabernes Selskab er blevet bedt om at give en alment forståelig fremstilling af et emne med relation til Grønland. Nogle har valgt at behandle et felt, der står centralt i deres daglige arbejde, andre er blevet udfordret til at tage nye emner op eller behandle dem ud fra en uvant synsvinkel. På hvert deres felt formidler forskerne noget af den begejstring, der knytter sig til det videnskabelige arbejde, og tilsammen viser de, hvordan mangfoldigheden af perspektiver på et givet tema beriger dem alle. Dermed spejler de også Videnskabernes Selskabs virke. HM Dronningen fik festkriftet overrakt ved et symposium i Videnskabernes Selskabs gamle mødesal torsdag den 4. oktober. Se optagelserne fra Kirsten Hastrups velkomst her eller klik på de fremhævede forfattere ovenover, som holdt foredrag ved symposiet. Kvartærtidens dramatiske klimaændringer har ændret planters geografiske fordeling gennem tiden. Det har efterladt varige fingeraftryk på europæiske plantearters nutidige udbredelser. Hvor, hvordan og i hvilken grad? Det belyser denne artikel. 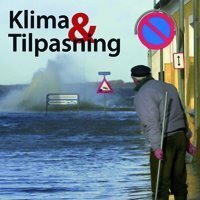 Forudsigelser af arternes respons på klimaændringerne er et vigtigt værktøj i planlægningen af en klimatilpasset naturforvaltning i Danmark. Klimaændringerne vil over de næste 100 år ændre levevilkårene for dyr og planter. Hvad kan vi gøre for at hindre negative og uønskede konsekvenser for naturen af et ændret klima? 4. What happens with nature when climate changes? / Hvad sker der med naturen, når klimaet ændrer sig? Klimaet er bestemmende for udbredelsen af plantebælter på Jorden og har dermed stor indflydelse på biodiversiteten. Den globale opvarmning, vi står over for, er af en størrelsesorden, der ikke er set de sidste mange millioner år. 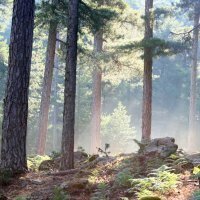 Hvordan vil det påvirke biodiversiteten globalt, og hvad vil der ske med naturen og arterne i Danmark? Earth’s climate is changing, primarily due to anthropogenic greenhouse gas emissions. 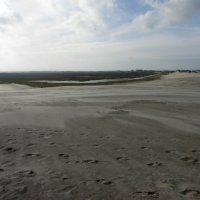 Past climate changes have had strong impacts of the flora of Europe, notably causing numerous extinctions at the onset of the Quaternary ice ages 2-3 million years ago. 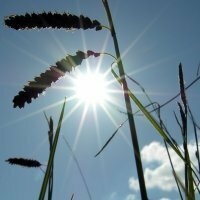 How will the current climate change affect the Danish flora and vegetation? We investigate this issue using bioclimatic species distribution modeling, assessing the potential impact of the climate change expected under the ICCP climate change scenarios B2 and A2 on the distribution of 104 selected plant species. 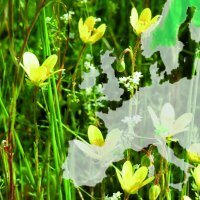 The study species include 84 native species on the EU Habitats Directive list of habitat characteristic species as well as several sets of supplementary species. We find that under the A2 scenario climatic suitability will decrease for 83- 85% of the native characteristic species, which on average will loose 34- 42% of the current climatic suitability. Under the B2 scenario, suitability losses are smaller, but nevertheless 75-77% of the native characteristic species will experience decreased climatic suitability. 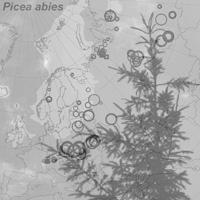 The native Danish trees are predicted to be robust to the impending climate changes, while climate will become highly marginal to the introduced Picea abies. Many southern species, including evergreen tree species from Southern Europe and invasive species, should be able to thrive in Denmark under the expected future climates. To minimize the risk of potentially large plant diversity losses, priority should be given to minimize climate change and to mitigate the negative effects of climate change by ensuring the existence of large, well-connected natural areas as well as large, widely distributed populations, and, if necessary, direct translocation of species to areas with a suitable climate. 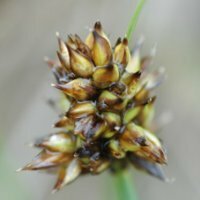 Krum star (Carex maritima) er sidst observeret i Danmark i 1994. Vi genfandt den i en klitlavning ved Tversted Klitplantage i juni 2005. 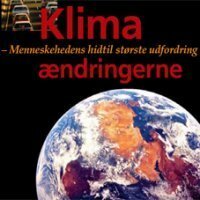 I denne rapport analyseres de potentielle konsekvenser af de klimaændringer, der forudsiges frem til år 2100 ifølge klimascenarierne A2 og B2 fra FN's klimapanel (IPCC), for udbredelsen af 104 udvalgte arter af karplanter i Danmark. Resultaterne i denne rapport tyder på, at klimaændringerne over det 21. århundrede under både A2- og B2-scenarierne må forventes at have en overvejende negativ effekt på de undersøgte arter og sandsynligvis på den botaniske biodiversitet i Danmark som helhed. My fascination for living organisms, especially plants, started in my early childhood when my grandfather introduced me to the wonders of nature. Numerous walks through forests, heath lands, meadows and salt marches with a magnifying glass and binoculars seeded my interest in understanding the factors setting limits to species’ growth at some places but not at others. Later I went to boarding school where the focus was on biology almost 24 hours a day, and then after high school I moved to Norway for one year where I attended a Folk High School specializing in outdoor life and sustainable use of nature. Finally, I studied Biology at Aarhus University, earning a Bachelor’s degree by studying what determines the distribution of Palms in the Amazon, and afterwards a Master’s and PhD degree by studying the distribution and diversity patterns of the European flora under the supervision of Jens-Christian Svenning. I love traveling and observing the difference in flora and fauna around the world. I have done fieldwork in the Amazon, Eastern Europe and Greenland, and had research stays in Switzerland (4 months, University of Lausanne, Antoine Guisan) and the United States (6 months, University of Missouri-St. Louis, Robert E. Ricklefs). Besides my studies I worked as assistant on botanical inventories and guided tours in the green houses of Aarhus Botanical Gardens. 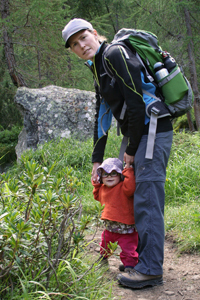 I have enjoyed my passion for vascular plants and bryophytes as a leader for botanical excursions to Corsica and Switzerland, as a board member of Denmark’s Bryological Society, and in both my teaching and personal life. 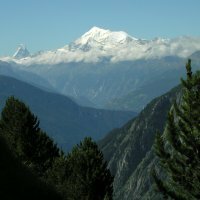 After receiving my PhD degree I joined Niklaus E. Zimmermann’s lab for a Post Doc at the Swiss Federal Research Institute for Forest, Snow and Landscape. Since February 2014 I am back at Aarhus University. View from one of our field sites in Greenland over the Nuuk Fjord. View to the right towards the sea and Nuuk, view to the left towards the inland and the ice sheet (July 2013). • She Shapes The City (Aarhus 2017): "It all starts with fascination..." a podcast with Signe describing what it is like to be a female scientist in Aarhus (link). • Media coverage on DR (Danish Broadcasting Corporation) of our 2016 Greenland campaign to Station Nord and its surroundings (in Danish, link). • A presentation of my UAS (Unmanned aerial systems or drones) based research (Polarforskingskonferencen 2016, in Danish, link).